Pastor Mark Drake of Covenant Family Church in St. Louis has been a faithful supporter of the Mercy Ministries St. Louis home. Pastor Mark is passionate about radical life transformation and leading people toward an understanding of the power of God rather than constant re-commitment. He and his wife Linda spent nine years traveling every day of the year, living out of motels, in order to help new ministries. Today, Mark’s ministry helps to empower leaders around the world. This month, Pastor Mark visited the St. Louis residents with a message about what it means for Christ to “live” inside of us. He challenged the residents to look to Christ as their life source instead of trying to live by their own good intentions. Pastor Mark also brought the girls copies of his book, God’s Brilliant Plan, that teaches how to break free from fear and start living with great joy! Here is what a few of the residents had to say about Pastor Mark’s encouraging teaching and time at the St. Louis home. Mercy Ministries would like to give a special thanks to Pastor Mark Drake for making time to encourage our St. Louis residents. Staff and residents always look forward to when he comes to visit. To learn more about Pastor Mark Drake and Covenant Family Church, visit their website at www.covenantstl.com. 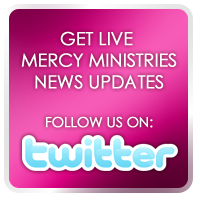 Dr. Josh Axe Leads a Mercy Makeover! Dr. John Townsend Visits Mercy Ministries! !